In a world where remote work is becoming more accepted, and workers are seeing each other less often, Microsoft’s improved range of collaboration features are hugely overdue. 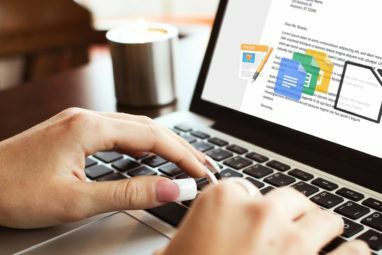 Many of Microsoft’s dedicated Office users became frustrated, needing to constantly send edited files back and forth How Collaborative Writing Tools Make Your Life Easier How Collaborative Writing Tools Make Your Life Easier Thanks to the Internet, collaborating on a writing project should be a breeze. If you have ever co-produced one, you know this can be difficult. It shouldn't be with the right tool. Read More . Integrating various edits into a final document became a nightmare. With the collaboration features now available in Office 2016 and Office Online, Microsoft promises that “your content stays in one place and no one has to miss out on other people’s edits ever again”. If you have an Office 365 subscription How to Manage Your Office 365 Subscription How to Manage Your Office 365 Subscription Getting to grips with Office 365? Make sure you're in complete control of your account and subscription settings with this guide. Read More , and haven’t upgraded to Office 2016 yet, upgrade now Upgrade to Office 2016 for Free Today with Your Office 365 Subscription Upgrade to Office 2016 for Free Today with Your Office 365 Subscription Microsoft Office 2016 for Windows has landed and it brings many smart new features. If you have an Office 365 subscription, you can get it now for free and we show you how below. Read More . Sounds peachy, right? Rather like Google Docs many years ago, in fact. But better. What we’re essentially talking about here is the new share button squeezed into the top right corner of each of the major programs in Office 2016 (Word, Excel, PowerPoint, and even OneNote), and Office Online (the free, browser-based version of Office Don't Pay For Word! 5 Reasons You Should Use Office Online Don't Pay For Word! 5 Reasons You Should Use Office Online Office Online is the free and cloud-connected version of Microsoft Office. Limitations are compensated by features, useful even to users of desktop Office. Best of all is its Read More ). But that’s not all. Microsoft has also introduced Outlook Groups and Office 365 Planner. 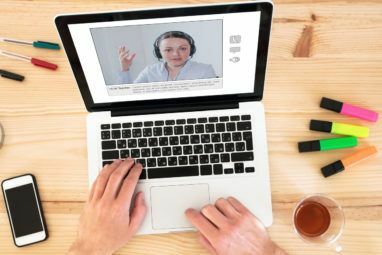 We’ll take you through each of these in turn, along with a few other tools that’ll help you collaborate more effectively than ever Team Working: 10 Tips For Effective Real-Time Online Collaboration Team Working: 10 Tips For Effective Real-Time Online Collaboration Read More . If you don’t use Microsoft Office too much, though, there are plenty of other collaboration tools How to Work from Home & Be Productive with Collaborative Online Tools How to Work from Home & Be Productive with Collaborative Online Tools Wish you could skip the commute and work from home? Remote work has its downsides, too. We show you how to harness the power of the Internet to remain productive while telecommuting. Read More you can use. If you want to collaborate on an Office document, whether using Office 365 or Office Online (on any device), you’ll first have to save this to the cloud (via OneDrive or SharePoint). Once done, you can at last start to change your collaboration workflow for the better. When you click the share button in the top right corner of Word, Excel, PowerPoint, or OneNote (read our OneNote introduction How to Use OneNote Like a World Famous Scientist How to Use OneNote Like a World Famous Scientist Charles Darwin would have loved OneNote. He was an avid note-taker who recorded everything he observed. Here's how he might have used OneNote to organize his work and move his research forward. Read More ), you can choose to invite people either by name or by email address. This is also where you can choose which permissions to grant your colleagues: Can Edit, or Read Only. You’ll be alerted within Office when the invite has been accepted. In Word, you’ll be able to observe collaborators type in real time. 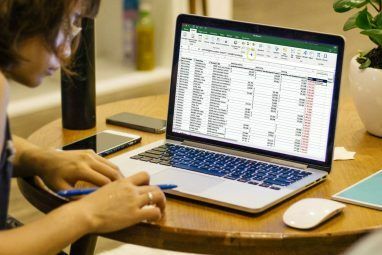 This co-editing feature in Excel and PowerPoint isn’t as streamlined just yet, so pressing Save will refresh the document so you can see new changes straight away. Another way of sharing your Office documents is to send a sharing link to your colleagues. If you’re sharing with a group of people, this will be quicker than inviting each person individually. You have a choice of two links to share (find these by clicking Share > Copy Link, then choosing to copy the Read-Only link or the Can Edit link). Send the relevant link(s) to your colleagues. When anyone clicks on these links, they will always be taken to the most up-to-date version of the file. In Office Online, you can even click the Skype logo to make a quick call to your collaborators for quicker decision making. Once you’ve shared a document, you can see a list of your collaborators in the share panel on the right hand side of the screen. It’s here that you can see who is currently editing the document. If “editing in real time” is displayed next to a collaborators name, you’ll be able to see their changes as they type. If only “editing” is displayed, you will have to wait until they save their version before you can see those changes. To change the permissions of any collaborators, right click their name, and click change permissions. You also have the option to remove all permissions from the collaborator so they can no longer access the document. The first iteration of Office 365 Groups was launched in 2014. It’s been transformed for Outlook 2016, though, and is now available as a standalone app on Windows Phone, iOS [No Longer Available], and Android [No Longer Available], as well as within the Desktop app. Before signing in, you will need a paid-for Office 365 subscription (there is a 30-day free trial), or a school account. In essence, Groups is Microsoft’s response to Slack, where members can start and join channels/conversations about different topics. But there’s lots more integration with Microsoft products. Both public and private groups are made up of individual “conversations” (instead of emails). Group members can chat in real time about various projects, to help move these forward more smoothly. There’s also useful integration with OneDrive for access to files, a group calendar for scheduling meetings, and Skype for Business for impromptu voice and video calls, and a shared inbox and OneNote notebook. If your team relies heavily on Microsoft products, this is a great addition to its collaboration features. But if you use lots of other services like Google Drive, Dropbox, etc. you would probably be better using Slack instead of 365 Groups, due to its mountain of available integrations. That being said, Office collaboration using Dropbox Improve Collaborative Editing Of Office Files With Dropbox & Project Harmony Improve Collaborative Editing Of Office Files With Dropbox & Project Harmony Dropbox has made a promising move towards collaborative writing and editing. Project Harmony offers Dropbox for Business users early access to a new desktop collaboration feature. Read More is possible, it’s just not ideal. To create a group in Outlook 2016, follow these instructions. To create a group using the web-based Outlook 365, follow these instructions. Just as Outlook Groups seems to be Microsoft’s answer to Slack, 365 Planner looks like it’s Microsoft’s answer to Trello. Tasks can be categorized by status or who they’re assigned to, and individual users can easily see a list of tasks assigned to them. Colorful charts also visualize the status of each project at a glance. The past couple of years have seen Microsoft playing catch-up with competitors who were far ahead of them in terms of collaboration features. But even though Microsoft has pretty much caught up, the company is not stopping there. We’ll soon see Microsoft launching GigJam. This app will allow you to connect your work to various apps around the web, from Salesforce, to Google Drive. In turn, automating repetitive tasks will become easier, and so will collaboration. Allowing the right people to see just the right information at the right time will hopefully become a lot easier. A lot remains to be done. The structure of Microsoft’s products is far from easy to understand. The number of packages you can sign up to, and the apps you’ll have access to, is still a mess. Real-time co-editing in some apps needs improving. In spite of this, the collaboration features Microsoft now offers has at last brought Office in line with most of its competitors. Do you think you’ll be using these features to improve your collaborative workflows at work? Explore more about: Collaboration Tools, Microsoft Office 2016, Microsoft Office 365, Microsoft Office Online.